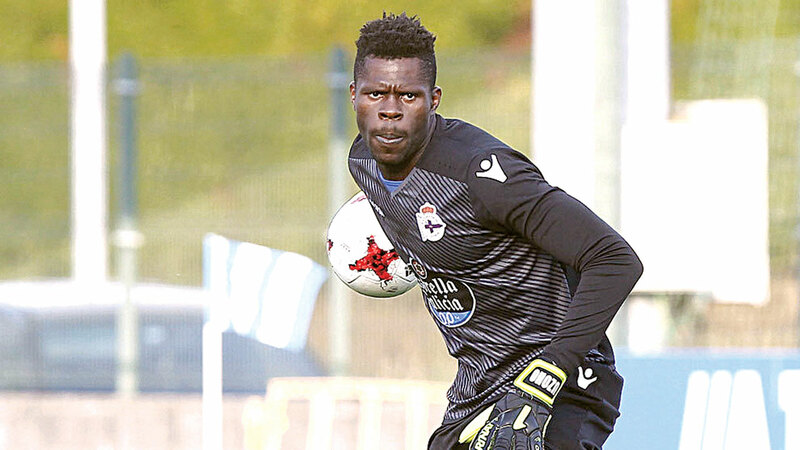 Super Eagles manager Gernot Rohr has hinted that Deportivo de La Coruña starlet, Francis Uzoho, will be his first-choice goalkeeper at the 2018 World Cup. He pointed out that he has not conceded a goal since making his international debut. Uzoho and African based pair Chippa United’s Daniel Akpeyi and Enyimba’s Ikechukwu Ezenwa are vying for a starting spot, but it appears the youngest of the trio is ahead in Rohr’s pecking order of goalkeepers. ‘’I think you should be more impressed than me because I know him already. So I saw also that the 40,000 people in the stadium in Poland were impressed,’’ Rohr told omasports.com when asked if Uzoho will be the first-choice in Russia. ‘’He is 19 years old, we already had the youngest team before he came and now we are even younger. ‘’We are the youngest team in the world with Germany as No 2 and this goalkeeper, has just played 2 games, the last 45 minutes against Argentina, he had a clean sheet, now he has recorded another clean sheet against Poland. Francis Uzoho started his second consecutive game for the Super Eagles against Serbia at the Hive Stadium yesterday. Meanwhile, Croatia manager Zlatko Dalić has made it crystal clear that their main focus is on Nigeria. He spoke ahead of their pre-World Cup friendly against Mexico at the AT&T Stadium (Arlington, Texas). Croatia spy Ognjen Vukojević presumably watched the Eagles 1-0 win against Poland last Friday and was one of the spectators at the Hive Stadium yesterday. ‘’We are very respectful of Mexico, they are a fantastic team, especially in the good atmosphere this time will be at the stadium, but it will not be easy, but I expect Croatia to play a good match, for my players to have a good game,’’ Dalic told the Croatian Football Federation official webpage. Croatia and Nigeria will face off in their World Cup opener at the Kaliningrad Stadium (Kaliningrad) on June 16, 2018. The Europeans lost 2-0 to Peru in their last friendly on March 24.